On November 7th, 2015, six Bhangra and six Bollywood Fusion teams will be meeting at Temple University to compete at Tashan, Philadelphia's Premiere Bhangra and Fusion dance competition. 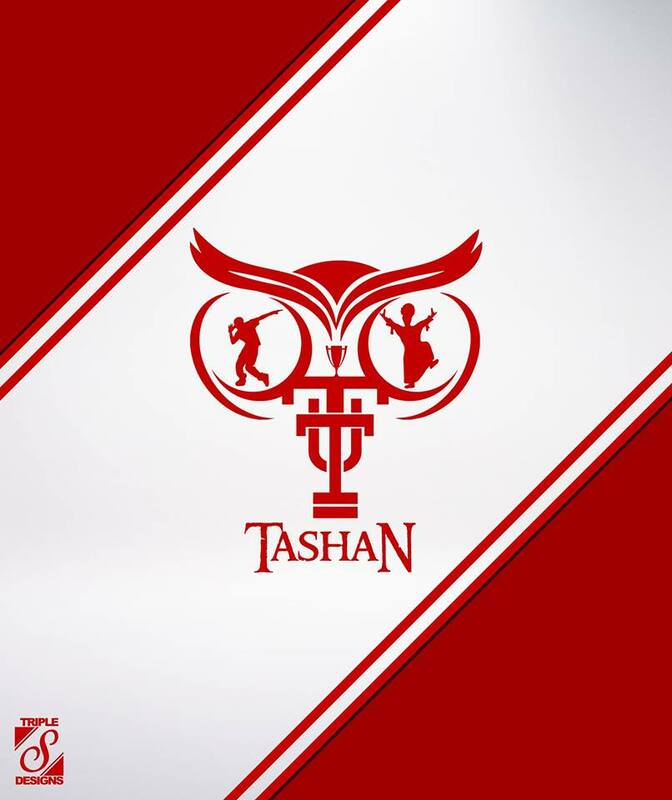 Hosted by Temple University's South Asian Students Society, Tashan is one of the first national competitions of the 2015-2016 school year. Although Philadelphia has historically been the host of many amazing competitions such as Phillyfest and Bhangra at the Bell, Tashan stands out as the only multicatogorical competition in Philadelphia. Even as a first year competition, Tashan seeks to be more than just a dance competition. Tashan is a collaborative effort between Temple University's South Asian Students Society and Operation Smile and the Foundation for International Medical Relief of Children (FIMRC). Operation Smile is a nonprofit organization based in Virgina Beach that works to provide cleft lip and palate repair surgeries to children worldwide. The Foundation for International Medical Relief of Children is a nonprofit organization dedicated to providing medical care to disadvantaged families across the globe. The organizers of the competition hope to raise money to support these charitiest. Founded in 1996, Bhangra Elite has grown and refined their style over the years. Having already won their first competition at ATL Tamasha, UNC Bhangra Elit will definitely be bringing the heat! Founded in 2003, UVA Di Shaan is a competitive cultural dance team at the University of Virginia. As a collegiate co-ed team, they pride themselves in increasing the student body's cultural intelligence through the traditional dance, Bhangra. The Bhangra Club at the University of Florida was created in 2003, aiming to spread the knowledge of Punjabi folk dance, specifically Bhangra and Giddha, throughout Florida, starting with the students and faculty at UF, as well as to the residents of Gainesville. Since then they have surpassed Florida's borders by venturing out to competitions all around the States, including: Charlotte, North Carolina; Dallas, Texas; Seattle, Washington; they've even been to Vancouver, Canada! However, these ventures don't end there. They have also performed at weddings, birthdays and cultural programs across the Southeast. Founded in 2006, Virginia Tech Bhangra strives to promote the culture of Punjab throughout the humble Blacksburg, Virginia community. This co-ed Bhangra team has adopted the mission of spreading the history, arts, and expression of Punjabi dance through numerous on-campus events, performances, local events, and most recently, competitions. As a new, eager squad, the team brings traditional dance moves and high energy to each performance, remaining true to the Hokie Nation and exuding spirit. We hope to introduce the nation to our style, their school, and their absolute love for Bhangra. The Rutgers University Bhangra Team is a group of enthusiastic students who pride themselves in keeping the roots of bhangra alive while putting on entertaining performances highlighting Punjabi culture. The team was originally formed in 1994 and won the very first Bhangra Blowout. After a disbanded tenure, a group of friends got together in the Fall of 2003 and laid the foundation for the ever growing Rutgers University Bhangra Team. RU Bhangra has shown great promise in keeping Punjabi culture alive and will continue to spread its knowledge and passion of bhangra for years to come. The Michigan Bhangra Team was started in the Fall of 2000 with a very distinct vision: they strive to promote awareness of Punjabi culture and the importance of diversity and multiculturalism. They accomplish these goals by performing at numerous charity and cultural events for both their campus community and the community at large. Their team is known for our energy both on and off stage; they are driven to inspire others with our passion, dedication, and unique style. Their performance is based upon a foundation of camaraderie, creativity, and spirit, all elements they hope will work to transcend social boundaries to build a sense of community and awareness. Mirchi is MIT's newest and hottest co-ed competitive Bollywood dance team bringing spicy Bollywood dance moves to Boston and setting the stage on fire. Dhoom is University of Maryland's South-asian fusion dance team! We love to compete around the country and meet other dancers! Genesis is Ohio State University's premiere all male Bollywood Fusion team. Combining Bhangra, Hip Hop, and Bollywood, OSU Genesis continues to surprise the entire Desi Dance community with their innovative choreography and charismatic execution. NASHA’s mission is to utilize the dance form to expand the boundaries created for women and to shine light on issues that plague all human beings alike. Over the years NASHA has evolved into a new era of expression, creating and recreating genres of dance that explore ideas, identities and emotions. They seek to send a message through their performances by engaging in all aspects of performance art – dance, music, the visual, voice, and words. Nova Nassa Nova Nassa is Villanova's first co-ed fusion dance team. Nassa combines elements of classical Indian, Bollywood, and hip-hop dance styles to a blend of beats from Indian roots fused with the modern hip-hop of our Western culture. Michigan TAAL is the University of Michigan's premier all-female fusion dance team. Founded in 2005, TAAL is a dance team that uses its members’ diverse backgrounds to fuse a variety of south-asian & western dance styles into the choreography. At the heart of our group is not only an intense passion for dance, but a love of performing and pride in promoting indian culture. As a group, they strive to express creativity through dance and bring unique, energetic performances to their local community as well as on a national level by competing all across the country. By performing on stage, they share their love of dance and its many forms with audiences everywhere.